I see so many talking about keeping or losing their salvation as if it’s some sort of golden ticket, it is grieving to the heart of JESUS that people are missing the point…. JESUS IS SALVATION! Those who know and love JESUS are terrified of HURTING HIM, DISOBEYING HIM AND LOSING HIM. Those who love JESUS, fear Him and seek His will daily, they know that it is very possible to LOSE Him if they do not obey Him. The written word says that His wrath remains on the disobedient children. 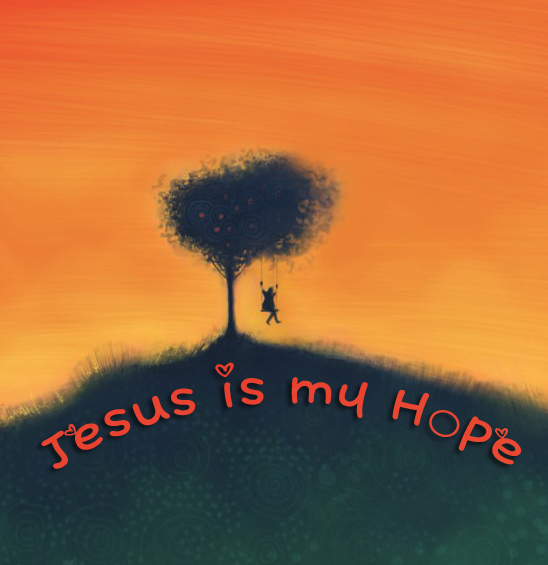 JESUS’ children are following Him because they LOVE & FEAR Him and want to BE WITH HIM FOR ETERNITY. It IS possible to walk away from JESUS and to LOSE Him. MANY have grieved the LORDS Spirit as MANY have chosen a spiritual death (practicing sin and dying in their sins, going to hell) rather than choosing Life by loving and obeying Him. So, can you lose your salvation (JESUS)? YES YOU CAN, but why would you want to do that? CLING TO JESUS. All denominations have one thing in common; they do not follow the real JESUS. There is NO such thing as a real Christian denomination. These religious groups create THEIR OWN system of beliefs (their own branches) and separate themselves from other denominations to claim that THEY are the right group of religion and they claim to have the right WAY to salvation while holding hands with their opponent agreeing to disagree… do you see the insanity? JESUS IS THE ONLY WAY, HE IS salvation! 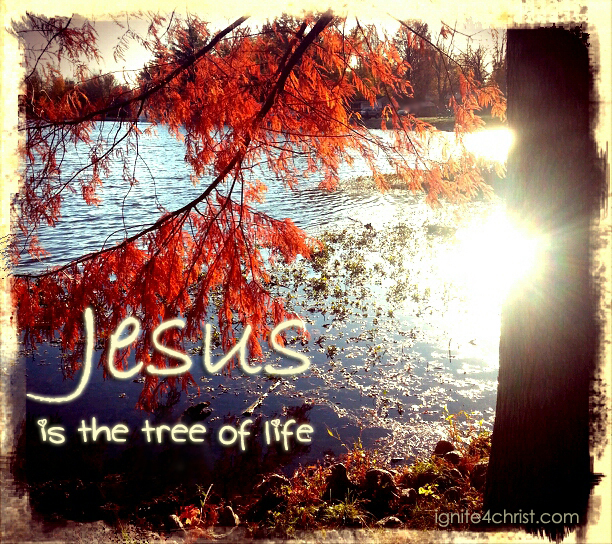 JESUS is the tree of life!! HIS branches (children) are of the SAME tree (faith) and the SAME mind (beliefs). He is not in a system of religion at all, and He does not tell His children to agree to disagree with satan! You cannot sit at the LORDS table AND the devil’s. GODS children do not agree to disagree, we are of ONE spirit and ONE mind. Be prayerful in ALL that you watch and listen to. satan is deceiving many in this hour! Living among this dark kingdom is breaking my heart and the heart of JESUS daily. This world is plastic. satan has so many fooled =( There are many flatterers upon this earth that are speaking a false peace to the multitudes of people who are listening and are falsely comforted. They remain distracted with the temporary comforts of the flesh, religion and gods of their own imaginations. Most are in a spiritual slumber about whats coming upon this earth as MOST are ignoring the voice of JESUS. JESUS will NOT defend a people who have turned their backs upon Him (unless they repent), nor will my God defend a strange land that continues to break His heart with their sins that reach unto the heavens. MANY are claiming to have dreams that speak of a false peace that is coming for Christians, and many are posting dreams about the rapturing of the church BEFORE tribulation. JESUS did NOT command them to post a false hope for the body of Christ, many are stumbling and led astray by such things. WE MUST BE READY to be persecuted by the world and some of The Lords children will even be KILLED as JESUS talked about in REVELATION. We are the last generation and we are living in the most devastating time in human history. Will you be prepared???? Please SEEK JESUS for all things. 25I have heard what the prophets said, that prophesy lies in my name, saying, I have dreamed, I have dreamed. 26How long shall this be in the heart of the prophets that prophesy lies? yea, they are prophets of the deceit of their own heart; 27Which think to cause my people to forget my name by their dreams which they tell every man to his neighbour, as their fathers have forgotten my name for Baal. 28The prophet that hath a dream, let him tell a dream; and he that hath my word, let him speak my word faithfully. What is the chaff to the wheat? saith the LORD. 29Is not my word like as a fire? saith the LORD; and like a hammer that breaketh the rock in pieces? 30Therefore, behold, I am against the prophets, saith the LORD, that steal my words every one from his neighbour. 31Behold, I am against the prophets, saith the LORD, that use their tongues, and say, He saith. 32Behold, I am against them that prophesy false dreams, saith the LORD, and do tell them, and cause my people to err by their lies, and by their lightness; yet I sent them not, nor commanded them: therefore they shall not profit this people at all, saith the LORD. 33And when this people, or the prophet, or a priest, shall ask thee, saying, What is the burden of the LORD? thou shalt then say unto them, What burden? I will even forsake you, saith the LORD. 34And as for the prophet, and the priest, and the people, that shall say, The burden of the LORD, I will even punish that man and his house. 35Thus shall ye say every one to his neighbour, and every one to his brother, What hath the LORD answered? and, What hath the LORD spoken? 36And the burden of the LORD shall ye mention no more: for every man’s word shall be his burden; for ye have perverted the words of the living God, of the LORD of hosts our God. 37Thus shalt thou say to the prophet, What hath the LORD answered thee? and, What hath the LORD spoken? 38But since ye say, The burden of the LORD; therefore thus saith the LORD; Because ye say this word, The burden of the LORD, and I have sent unto you, saying, Ye shall not say, The burden of the LORD; 39Therefore, behold, I, even I, will utterly forget you, and I will forsake you, and the city that I gave you and your fathers, and cast you out of my presence: 40And I will bring an everlasting reproach upon you, and a perpetual shame, which shall not be forgotten.